V E Day Tuesday 8th May coincided with the Market Rasen May Fair. The Market Place was filled with roundabouts, swing boats and amusement booths, which, decorated with dozens of Union Jacks, American and Soviet flags added greatly to the town’s festive air. Gorse bush fire around town, an extra hour in the pubs…There was not enough beer as the Brewery deliveries came on Thursday. Mr EW Chapman organised at short notice a VE dance in the Corn Exchange, raising £20 for Welcome Home Fund. A string of VE Day street parties were arranged. Waterloo street…55 children in the Old Boys Club room. Mr Peatfield, the few absent children due to whooping cough had their tea sent to their homes. Market Rasen Welcome Home Fund 1st June 1945. A Garden VE fête at Clare Lodge. Over 200 people attended the fete and raised £852 17s 4d. The vicar Gardner-Brown won a pig in the bowling competition which he gave back to be sold for funds. Two Market Rasen babies both boys were born on VE-Day. The mothers are Mrs Dean of 5 Chapel Street and Mrs Woodthorpe of Wold View. Mothers and sons are said to progressing in true V-Day style. The names of the victory babies will be Victor Alan Woodthorpe and Richard David Dean. 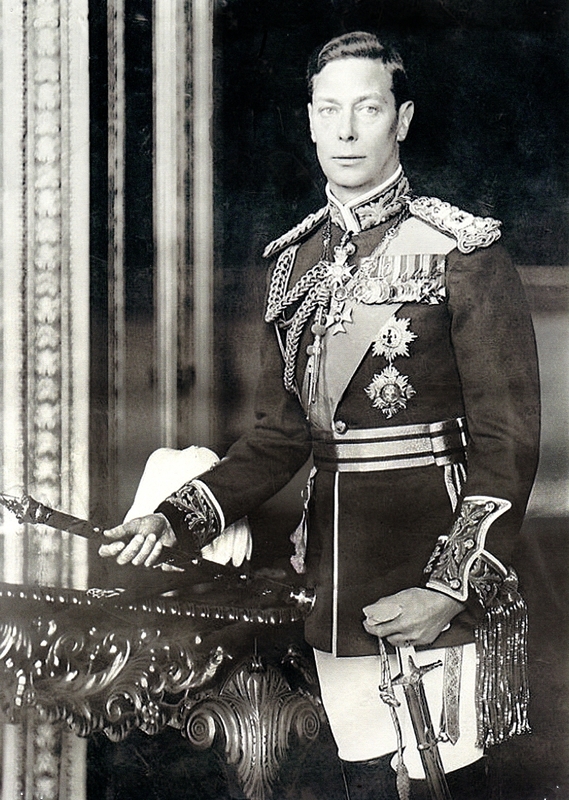 King George V1, Father of our present Queen Elizabeth ll. It was reported in August 18th MR Mail that there was a big crowd in the Market Place waiting to hear the King’s Speech last Wednesday, fireworks, bell ringing and dancing in the Corn Exchange. 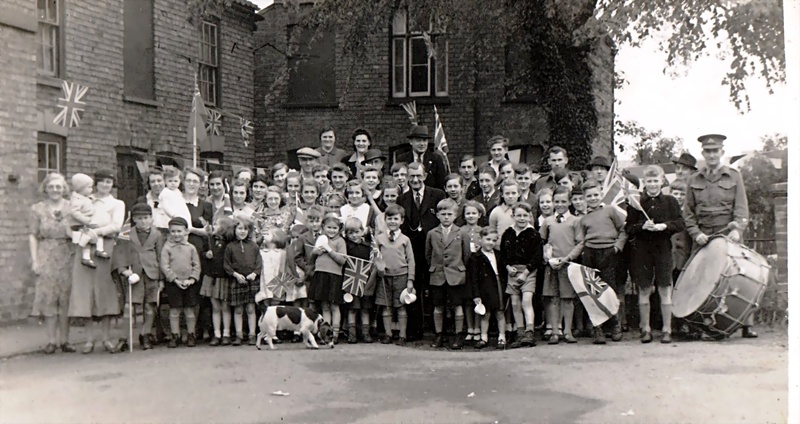 30 children living in Kilnwell Road and the streets adjoining were invited to a VJ Day party which was given by Mr and Mrs GR Spencer at Searle Lodge. The children were entertained to supper and games and a display of fireworks. The Mayor WC Casterton hoped to arrange a meeting to decided on what form the final peace celebrations should take. Only 9/2000 attended meeting called by Councillor Casterton……..to consider what steps should be taken in the town to celebrate the final end of hostilities. However on 20th September, The shops closed, children had the day off school, troops from neighbouring camps were released from their duties to join the the Town’s Public Holiday. 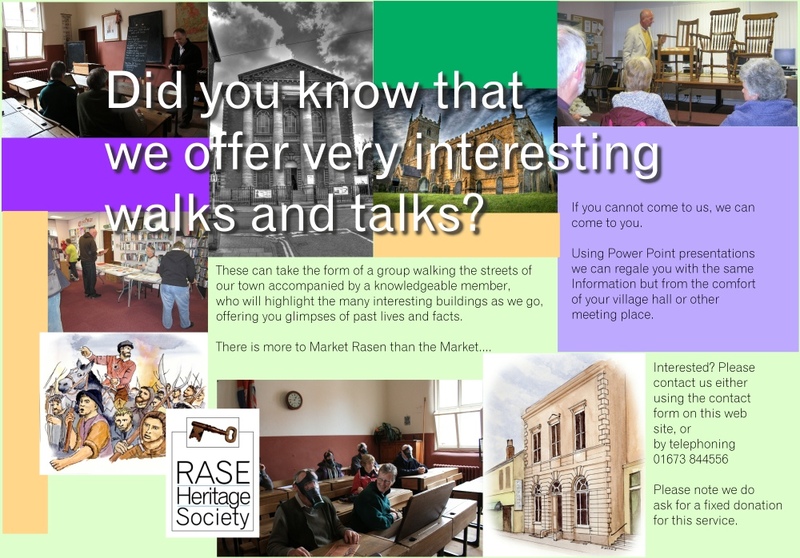 20th Sept…Market Rasen’s VE 2 day and public holiday. Life in a small English Town carried on! 27 men were killed or died on active duty, and they are remembered on the many memorials in the town. A Grand Concert in aid of Earl Haig’s Poppy Fund was held on Sunday 11th November 1945 at 7.45pm. At 3pm there had been an United Service of Remembrance, Thanksgiving and Prayer at St Thomas.